Numerous people have asked about the DR900S-2CH and DR900S-1CH 4K dash​cam. After a first glimpse at the SEMA Show back in November and a release date estimated at the time for January 2018, interest was definitely piqued! As the first 4K dash​cam, BlackVue wanted the DR900S Series (DR900S-1CH and DR900S-2CH) to be a game-changer rather than an incremental upgrade over previous models. Also, BlackVue did not want to just capitalize on the 4K “buzzword” without creating a product that offers real value to their customers. In order to achieve this vision, BlackVue needed to ensure that all aspects of the product match the highest standards of quality. With the added resolution of 4K (four times the Full HD resolution) come technical challenges that had to be overcome. The DR900S had great-looking day footage to show but as far as night video clarity goes, it failed to hit the marks that had been set for the product, so BlackVue decided to go back to the drawing board rather than rush out an unsatisfactory product. The good news is BlackVue can now confidently say that the “new” DR900S is going to surpass their early version in every way, both for night and day recording. The viewing angle is going to be wider, taking full advantage of the added resolution, while maintaining incredible clarity edge to edge. Meanwhile, the ability to catch relevant details–such as license plates of fast-moving vehicles–has been significantly improved. BlackVue's engineers are hard at work and will remain so until the release (and beyond). However, recent internal tests have showed that they are on track to produce one of the best dash​cams ever released. If you are looking for a high-end dash​cam to buy right now, the current best-of-the-best DR750S-2CH and DR750S-1CH represent great technological prowess and excellent value, and will become even more attractive as BlackVue keeps releasing additional feature updates to the DR750S Series. However, if you have your mind set on a 4K dashcam, we would like to humbly ask you to bear with us for a bit longer. The expectations are high for this product, and the team at BlackVue wants the DR900S Series to exceed them all. Currently the DR900S Series should be available for purchase in late April or early May. 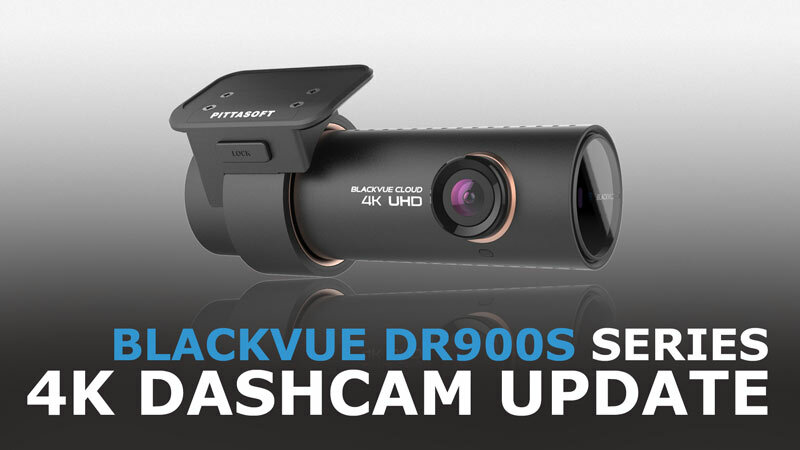 As an authorized North American distributor of the BlackVue product line, The Dashcam Store will be one of the first to have the new DR900's available for purchase. In the mean time, feel free to check out our 2018 BlackVue Dashcam Buyer's Guide to see all the current and newest models. May 30, 2018 Update: Now Available! DR900S-1CH: Now shipping from Texas! Click here to order!! DR900S-2CH: Now shipping from Texas!